Weekend Event: The Herd is back! The herd is back! 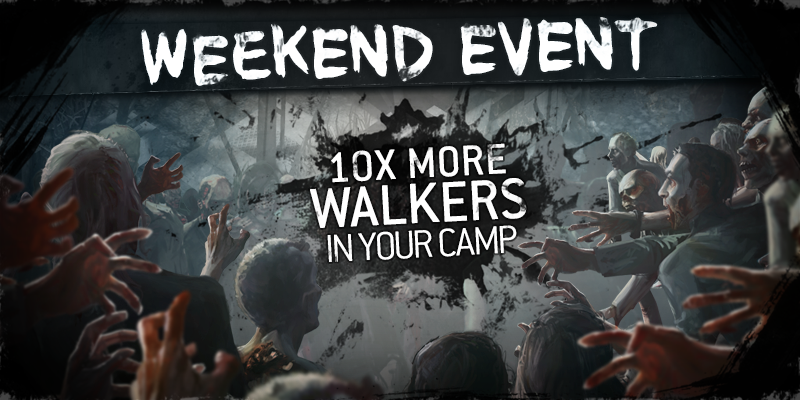 More walkers around your camps all weekend. Take down the walkers and collect the resources they leave behind. The weekend event starts on Friday at 7 AM UTC ends on Monday at 7 AM UTC.